Playing Career : Essendon (1921-28) 137 games, 124 goals. Frank Maher’s tenure as coach of the Blues spanned only two seasons in the decade preceding World War II. However, the remarkable story of this former captain of Essendon – who didn’t play Australian football at any level until shortly before he was decorated for outstanding bravery on the battlefields of France in World War 1 – deserves to be more widely known. For this instinctive, brave action, Maher was awarded the Military Medal. Other close brushes with death and injury followed in the last months of the war, but Frank got through unscathed, and returned home to be discharged in September, 1919. With his sporting interests aroused, Frank soon after began regularly playing football matches with two clubs; Shepparton and Lilydale, where his natural ability soon shone through. Although only 170 cm tall and 70 kg soaking wet, he was nimble and quick, with brilliant ball-control skills at ground level. Soon he was a star with both clubs and it wasn’t long before VFL club scouts showed interest in the 25 year-old. Carlton made the first pitch for him, but Essendon came up with a better offer and Maher donned the red sash. At Essendon, any doubts that may have lingered about Maher’s ability at elite level were quickly dispelled. Blessed with cat-like reflexes and an uncanny ability to read the bounce of the ball, he starred in the Same Olds' 1923 and ’24 Premiership double before taking on the role of captain-coach from 1925 to 1927. Frank represented Victoria in his debut year of 1923, and went on to wear the Big V nine times. He was captain-coach of Victoria in 1927, (the same year he won Essendon’s Best and Fairest) and was widely regarded as Best on Ground in the 1924 final series that was decided on a round-robin basis. Aged 33, he retired from VFL football in 1928 to take the reins as captain-coach of VFA heavyweights Oakleigh, and promptly led the Devils to successive Premierships in 1930 and ’31. He then coached Fitzroy for two seasons, before returning to Oakleigh in 1934. Somewhat belatedly, Frank came to Princes Park at last in 1935, replacing Dan Minogue. Maher’s appointment was not without some controversy. On 20 October 1934, Carlton announced his appointment as non-playing coach, but Fitzroy had already announced that Maher would be their 1935 coach, despite Maher not applying for the position. On 21 February 1935, Oakleigh (where Maher had been coaching) refused his clearance to Carlton as they had cleared him to Fitzroy in October. They now intended him to be their coach for the year. Oakleigh was also disappointed that Carlton had gone direct to the coach, prior to asking the club’s permission to interview him. Maher however, was adamant that he would not return to Oakleigh and would reapply for another clearance if necessary. The impasse continued until 7 March when Oakleigh finally relented and permitted the clearance. It wasn’t until 15 March that Fitzroy cleared him to coach Carlton. Interestingly, they appointed Percy Rowe from Northcote (Rowe would coach the Blues in 1937). 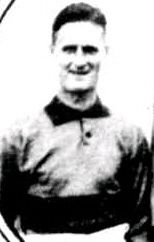 Maher took the Blues into the finals in successive seasons, but lost at the semi-final stage to Richmond and Melbourne respectively, and wasn’t re-appointed for 1937. Overall, in 38 matches as coach of the Blues, Maher took us to 26 wins, 11 losses and one draw. 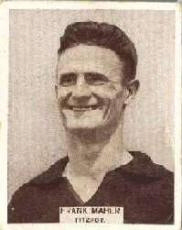 In 1997, Maher was named in Essendon’s Team of the Century – 21 years after he had passed away at the age of 81. Contributors to this page: Chicko , blueycarlton , PatsFitztrick , pblue , Jarusa and admin . Page last modified on Sunday 07 of April, 2019 17:18:36 AEST by Chicko. 1997 Rd 21 - Darren Hulme. 1982 - Vic. Rep. Team; Fitzy & Hunter (15/05/82).